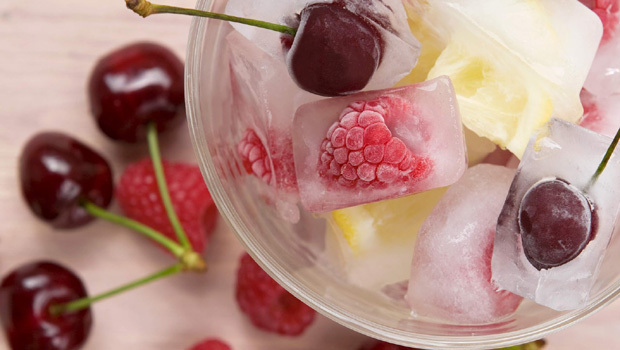 Show imagination by preparing some of these yummi ice cubes for your family, or when guests arrive – either way, everyone will be equally thrilled, I guarantee you that! Make your favourite coffee, the way you like it. 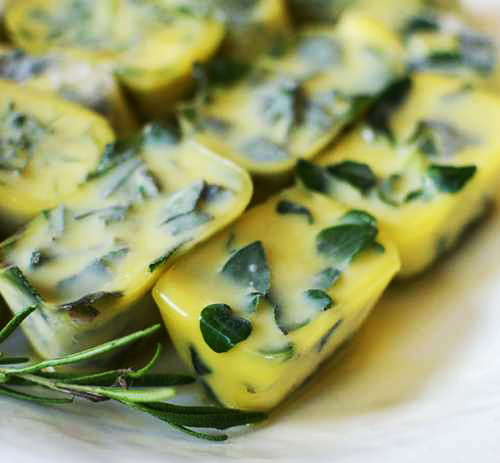 Empty the ice cube tray and clean it thoroughly. Wait for the coffee to dry and pour it in the tray. Put in the freezer and leave overnight. Drink your milk with coffee ice cubes the next day! If you are not a fan of coffee make a hot chocolate. 2. 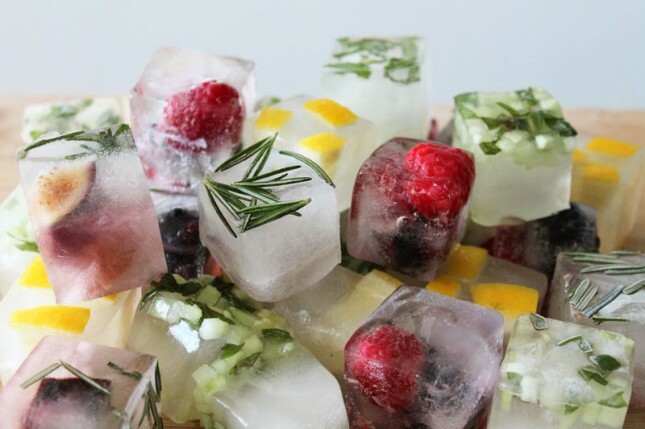 Ice cubes with herbs, fruit and flowers. Haven’t tried them myself, yet, but they look great. I just hope there is a way they don’t spoil the drink. Actually, instead of herbs and flowers, you could also try cocktail cherries, strawberries or other fruits. Decorate your cocktails this way! 3. 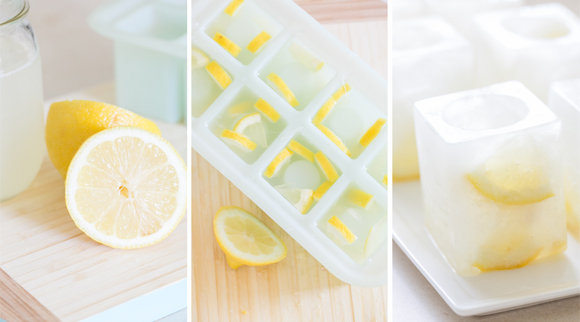 Lemon Ice cubes – perfect for adding to your water on a hot summer day. Now ​professional cleaners advise that you clean your fridge and freezer, because if it has that typical fridge smell, or even worse a nasty odour of something rotting inside, it might spoil the taste and the smell of your ice cubes. Not only they need to look great, but they have to smell and taste good too, so be careful what you put inside, and what kind of mixtures you make. When you add fruit make sure the fruit is washed in advance. The bacteria will be dead, but the fruit is sprayed so you need to keep this in mind.